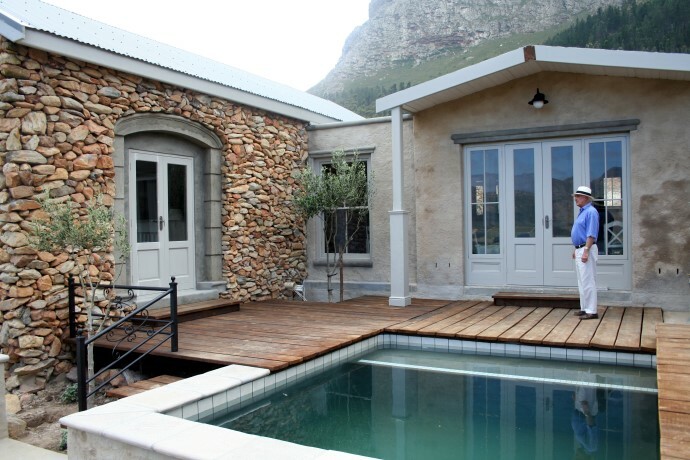 This luxury villa, located on the high slopes of the Franschhoek Mountains in the Western Cape, South Africa, offers discerning travelers the ultimate in elegance and convenience. 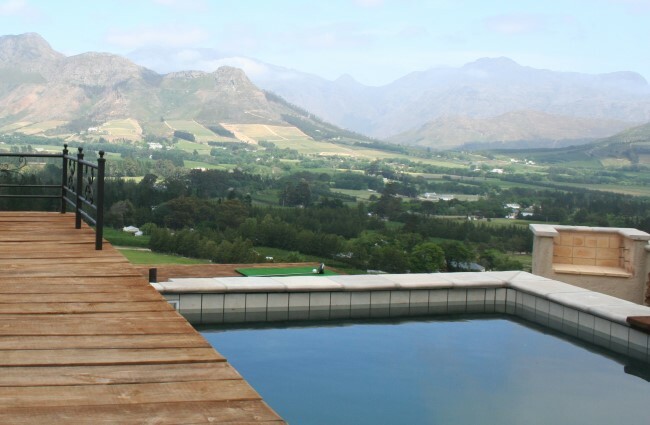 Surrounded by vineyards and commanding breathtaking views of one of Africa's most spectacular valleys, this impressive villa is the perfect getaway for travelers who appreciate privacy and luxury in spectacular natural surroundings. Stroll or cycle through vineyards and nature reserves, experience magnificent African sunsets from the pool deck while sipping a glass of local bubbly, or spend time exploring the famous restaurants and wineries of Franschhoek, the gourmet capital of South Africa. The choice is yours; prepare your own meal or eat in one of the many acclaimed Franschhoek restaurants. 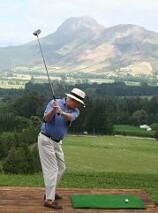 Very close by are facilities for golf, fly-fishing, cycling, horse riding, wine-tasting and many other activities. The villa has its own private driving range. The villa has a fully equipped kitchen and sleeps four people in two spacious, beautiful bedrooms, both with luxurious en-suite bathrooms. Franschhoek Pass villa is situated on a working, family-owned wine farm. 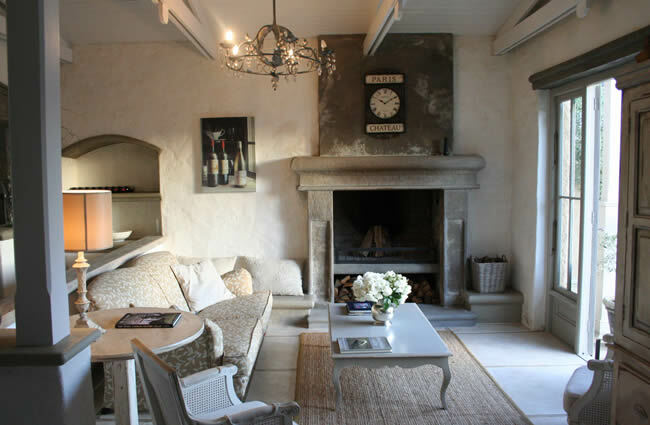 A stylish, comfortable villa in the vineyards. Click on the images to see full-sized pictures.